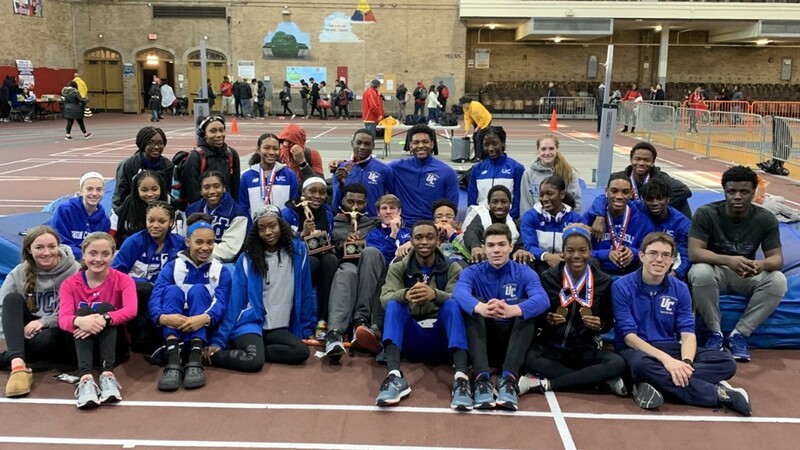 Union Catholic’s dominance at the Union County Track and Field Championships continued on Saturday when the Vikings swept the team titles for the second straight year at the Jersey City Armory. It’s the sixth straight title for the UC girls, which rolled to a 115-47 victory over runner-up Kent Place. The UC boys outscored cross-town rival Scotch Plains, 62-50, for its second championship in a row. Sydney Tucker blasted a 7.13, the second fastest time in N.J. this season, to win the 55 dash, and she ran on the winning 4×400 that went 4:03.45. Jerika Lufrano won the 1,600 in 5:13.04 and the 3,200 in 11:13.44. Felicia Quainoo won the 55 hurdles in 8.45. Leena Morant finished first in the 800 in 2:19.49 and was fourth in the 400 (58.34). Chi Chi Nkulume was second in both the 55 dash (7.28) and the 400 (57.86). Morgan Williams ran on the winning 4×400 and was second in the 800 (2:20.04). Zamira Ysaac ran on the 4×400 and was fourth in the 800 (2:23.49), and Angelique Williams cleared 5-4 to place second in the high jump. Brown, a junior, win the 800 in a NJ# 5 1:57.92 and the 400 in 49.91, and ran on the third-place 4×400. Plummer, a freshman, captured the 1,600 in 4:32.23 and was third in the 3,200 in 9:56.74. Also for UC, Ryan McLaughlin was third in the 55 hurdles in 7.73, Uchenna Duru took third in the shot put (47-9 3/4), Oluwafemi Asenuga was third in the high jump (5-8), Elijah Abraham placed sixth in the 55 hurdles and ran on the relay, and Matt Granizo placed sixth in the 3,200 in 10:14.27.